Posted on June 20, 2014 at 3:12 pm. 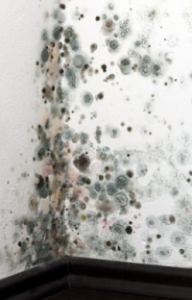 What Do You Know About Brown Mold? There is a lot of discussion about black mold and its dangers, but there isn’t a lot said about brown mold, and although it’s a fairly common type of mold many people may not have even heard the term. Brown hairy mold, or Stemonitis, is called that because it has a brown furry appearance. Although it’s not typically as toxic as black mold, it can still affect the health of people who have weak immune systems, respiratory problems and allergies. Its existence should not be ignored. Where is Brown Mold Found? 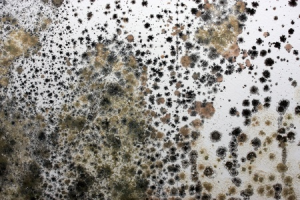 Like other molds, brown mold thrives in damp dark places. Wherever there’s a leak or repeated wetness that seldom dries out, that’s where you’ll find it. 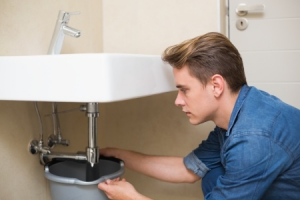 A common place for growth can be found in one of the wettest places in our homes – the bathroom. Water gets under the floor tiles, where it remains damp, and before you know it you have mold growth. By the time you see it on the tiles, there is probably a lot of damage done to the sub-flooring. This is one very good reason why carpeting in bathrooms is not a good idea. Kitchens are another common breeding place for brown mold. 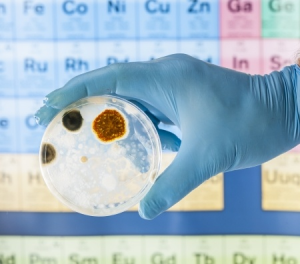 If your refrigerator or your dishwasher has a leak that goes unnoticed, mold growth will begin. One family had a dishwasher that had an undetected leak. Brown spots began appearing from the underside of the linoleum tiles before the homeowners knew there was a problem. Once the dishwasher was removed and the tile lifted, they were able to see the sub-floor was full of mold, rotted and needed to be replaced. Being able to see the growth is not the only way to detect a mold problem. Mold gives off a musty odor – you may be able to smell it whenever you are in the area of the growth. If you ever see mushrooms growing on the inside of your home, it’s pretty certain that you have hidden mold and very likely damage from rot and insects. If you have found, or even think you have mold growing in your home or business, it’s important to have it removed correctly and thoroughly. Don’t take a chance of spreading the spores by trying to remove it yourself…call an expert to remediate the problem. Can You Get Mold Out of Clothes? Posted on March 20, 2014 at 9:21 am. Dealing with moldy clothes isn’t typically what we do, but it’s an issue for many people, and can be a sign of further problems. Just like organic materials around your home, ie. walls, carpets, flooring or ceilings; if conditions are just right, mold can begin growing on your clothing and shoes, especially if they are made of of organic materials such as cotton or cotton blends. If there is too much moisture in your home, if clothing is left sitting while wet, (swimsuits and towels, or sweaty clothes from a workout), or if they aren’t thoroughly dried after washing, your clothing becomes a breeding place for mold spores. They just need the right conditions, (moisture, warmth and a little darkness), and within a few hours mold will begin to grow. How do you know if your clothes are moldy? They will be discolored, black or green and will have a distinct musty smell. If you find mold growing on your clothing, shoes or bags in your home, you can be pretty certain you have a moisture problem in your home. You can try to clean your clothes or throw them away, but unless you deal with the excess moisture, mold will continue to grow. Places where mold can be a problem is in dark, damp basements, in closets and under sinks. One young woman was constantly getting migraine headaches and couldn’t understand why. One day while looking through her bedroom closet she discovered black mold growing on the walls and floor, and it had spread to some of her clothing. After checking a little further, she discovered that her closet, which was on an outside wall of her home had a leak. Once she had the leak repaired and the mold properly removed, her headaches went away. Can you clean mold from your clothes? Mold is basically digesting your clothing if it has begun to grow on it, and it leaves a stain where it has been, so the longer it grows the larger the stain, the less you’ll want to use the clothing and the harder it will be to remove the stain and the smell. Be sure to wash the items in hot water and run through 2 complete wash cycles. A great way to make sure the mold has been killed is to line dry the clothing in the sun, where the sun’s ultraviolet rays will not only help to fade the stains, but will work to kill the mold as well.